Emma Donoghue vividly brings to life stories inspired by her discoveries of fascinating, hidden scraps of the past. Here an engraving of a woman giving birth to rabbits, a plague ballad, surgical case notes, theological pamphlets, and an articulated skeleton are ingeniously fleshed out into rollicking, full-bodied fictions. 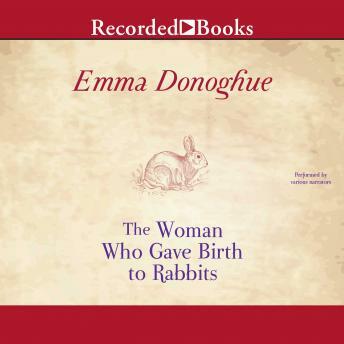 Whether she's spinning the tale of an English soldier tricked into marrying a dowdy spinster, a Victorian surgeon's attempts to "improve" women, a seventeenth-century Irish countess who ran away to Italy disguised as a man, or an "undead" murderess returning for the maid she left behind to be executed in her place, Emma Donoghue brings to her tales a colorful, elegant prose filled with the sights and smells and sounds of the period. She summons the ghosts of those men and women who counted for nothing in their own day and brings them to unforgettable life in fiction.